At THE ROOF of Sugar Land it is easy to become a little indulgent when it comes to fine dining. Our executive Chef and staff of culinary professionals make every meal an experience. Located on the third floor at 1531 HWY 6. THE ROOF, offers a panoramic view of Sugar Land overlooking Brooks Lake and is nestled directly across from Lake Point and less than a quarter mile from Sugar Land Town Center. Not only will our culinary selections inspire you to explore a savory adventure, the Chef has created some of the finest culinary recipes exclusively for THE ROOF. We seamlessly blend our lounge and restaurant for the ultimate dining and entertainment experience. Relax and unwind on one of our comfy couches or lounge chairs around the bar with a signature cocktail or delight your senses with our savory cuisines with a group of your friends. Finish your evening on the patio overlooking Brooks Lake. 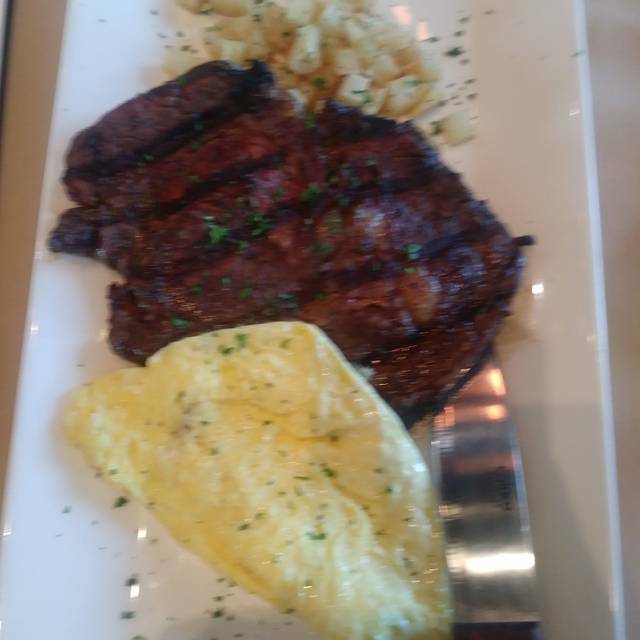 Owner, Ms. Keshia and staff have always done a great job when we have visited be it for brunch or dinner. Now Keshia can make a mean mimosa and just for that alone I will return during brunch. See you soon! Great service, great atmosphere, great food. Thanks for giving us a wonderful experience! Food was "ok". Service was terrible. Waitress was playing with her phone while I was trying to get her attention. Acoustics were terrible. We were seated next to a large party and it was equivalent to trying to enjoy "date night: in a bus station. Stay Away !!! No variety on the buffet. The omelet I requested was not an omelet. Huge chunks of red onion, Bacon bits and sliced cheese. I requested spinach, there was none on there. We considered ordering the chicken and waffles. We questioned if it came with chicken wings or chicken strips. The waitress responded, "I'll see if we have some pieces of chicken available." Another patron ordered it and it came with unseasoned drumsticks. We had to request items that were listed under buffet on the menu. There were no potatoes, no waffles...and what buffet does not have eggs available? The fruit that was available were oranges and blueberries. No pineapples, strawberries, or bananas. This buffet was extremely overpriced for the options available. The only plus was the decor. Horrible experience. Service was very poor all around despite the place not being full at all on a Saturday evening. The food was sub par - mostly overwhelmed by creamy sauces. On top of it all, it was expensive, they added an automatic gratuity for a party of 4 and 2 young kids and the tables were incredibly tacky. The views and infrastructure are good, so disappointed that a manager/investor can’t do more with this space. It began a bit rocky, due to the fact that we were stuck in and running late. I called the restaurant 3 times and no one answered the phone. Upon arrival, the phone was ringing, although there were 3 ladies there, no one bothered to answered the phone. In addition to no one stationed at the hostess desk to assist with our reservations or check-in on Open Table, which resulted in a "No Show" initially on Open Table. Once seated and adult beverage selected, they didn't have the ingredients for the drink, then I suggested another one, no ingredients to make that one either, 3rd time is always a charm, AH HA, finally found a drink that they had ingredients to make it and it was delicious. Ordered dinner and it was amazing. I had the shrimp, crab cake and grits, my girlfriend ordered the salmon, crab cake and wilted spinach... delectable I must say for both. The music was great as well. Despite the rough start out. I will be back! Great service. Great food. Great ambience. I will definitely recommend. Atmosphere was nice and intimate. Staff was ecstatic! I will be returning! Your food was delicious, the price was on point and ambience was so comforting. Great food that was good for the price. As others have suggested the service a little slow but worth the wait. We were pleasantly surprised how good our dinners were. We started off with a salad, great salad then we had our main course which was shrimp, crab cake & grits with a side of collards greens. They were delicious food and plenty of it. Their prices were very reasonable. We will be back again for the same meal. Fun place. Cici was great and made the night fun! This could be our new Cheers. We'll be back! Went for Sunday Brunch. There was 6 chafing dishes, some danish and some fruit and they were charging $29.00 /per person for this. No omelette station, no carving station, etc. We got up and left. The ambience was excellent. The customer service was welcoming. They was out of a premium alcohol (Crown Royal). 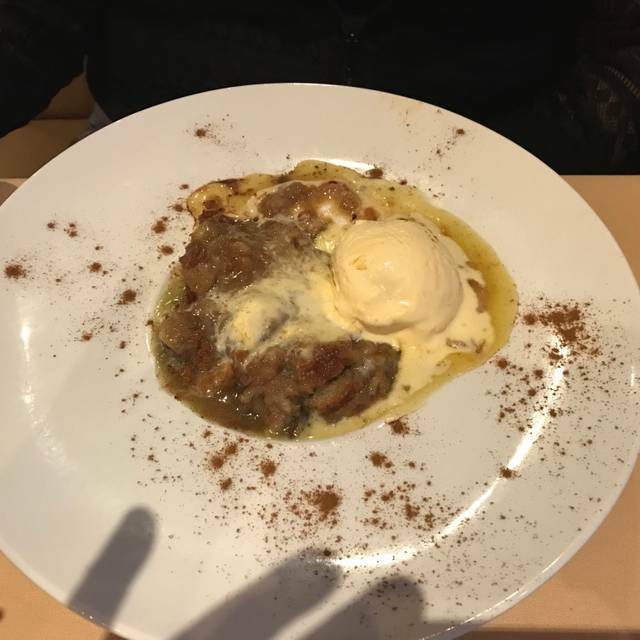 They didn't have a dessert that was on the menu (bread Pudding). It was my husband's birthday and we wanted a different experience. I will probably return for a happy hour but not a special occasion. The food was really good, a little pricey. But overall it was really good. Service was great. The decor is different. It looks like they are trying to be realy fancy and a Dollar Store budget. What I thought was going to be a great experience, it was not. We came in on Valentines and before coming to the restaurant I called to find out if there was a selected menu for this date she said there was but we could always modify if needed. I made the reservation, the menu looked great however my husband and I are on a special diet and we asked to have certain things for example, they had like a special on a 4 course meal but we did not want the four course meal and instead asked if we could just have the entree and we could pay extra if we needed too our waitress tried her best and spoke to management and they said that was not allowed. I did not see what the problem was especially because it was part of their menu except we did not want the four course meal. We later asked for one of their single entrees that was also part of the menu and I believe it came with rice and another dish we asked to please have the rice and side to be substituted again for greens, again waitress goes back to talk to manager she came back and said that they were willing to make that exception but it would cost more. 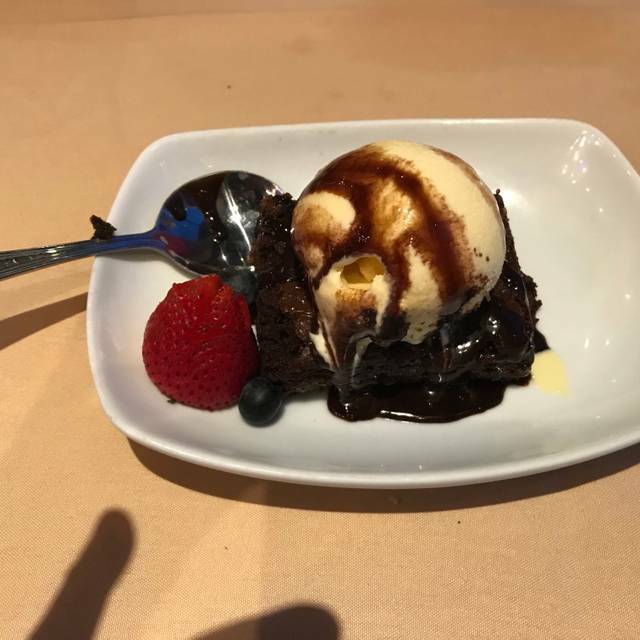 I don't think I was upset that they did not allow the changes but more upset that I called before making the reservations to make sure we were allowed to make any changes since I knew that most restaurants have a preset menu on these special occasions. Our waitress tried, and that is the only reason this place is getting the star rating that I am giving it. I don't believe I would be back, first time experience is everything to me. Nice private cozy romantic venue, the staff was nice and courteous, food was delicious and presented nicely, the view of the lake and club/lounge ambience mix made our night very special, looking forward to attending this establishment again!!! The food was excellent, but a little slow coming out of the kitchen. That is because nothing is cooked in advance. The Chef is truly a Professional Chef! It is an excellent place to go for a good visit with friends and to not be in a hurry. Unless you are into the night scene, go early enough to leave before 9pm. We had a delightful time, and will definitely go back. My wife and I went for dinner, approx. 6:30pm. Hostess and waitress were very nice. We were seated immediately. Place was about 1/3 full (at arrival and departure, never got very busy whilst we were there). We ordered wine - it was not chilled (not worst thing in the world but we prefer ours chilled). We ordered appetizer, main meal, dessert. Entree' came shortly after the appetizer and dessert came shortly after entree'. Food was OK, not bad, not great. Price was reasonable. Based on pictures we had higher expectations. I highly recommend The Roof for a night out for a well dressed and great food atmosphere. This place is very diverse than a lot of places in sugar land. I tried the red snapper and it was well cooked and seasoned. My husband had this huge rib eye steak with vegetables and he was very pleased. The icing on the cake was the outside balcony overlooking a beautiful lake in sugar land as we enjoyed our wine. Thanks to google I found this restaurant. The only thing i recommend is to please advertise so that people will know about this special place. I will be back. Thanks for a great night. The food was very good. We were one of only a handful of couples that night, but it seemed to take a long time to get our dinner. We were not in a hurry so waiting was not a big deal. I had the rib eye and it was the most tender steak I have ever had. 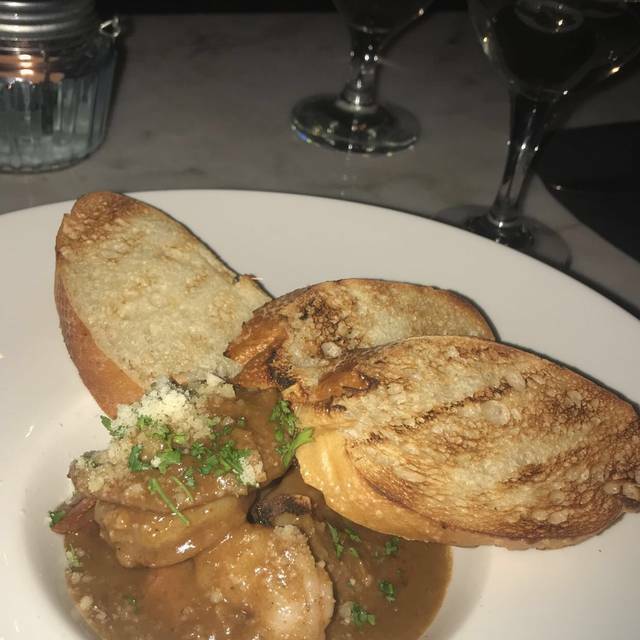 My wife had the shrimp and grits, she loved it. This was a beautiful, hidden little gem to take my wife out for our weekly date night. I had the lamb chops, and she had the salmon. 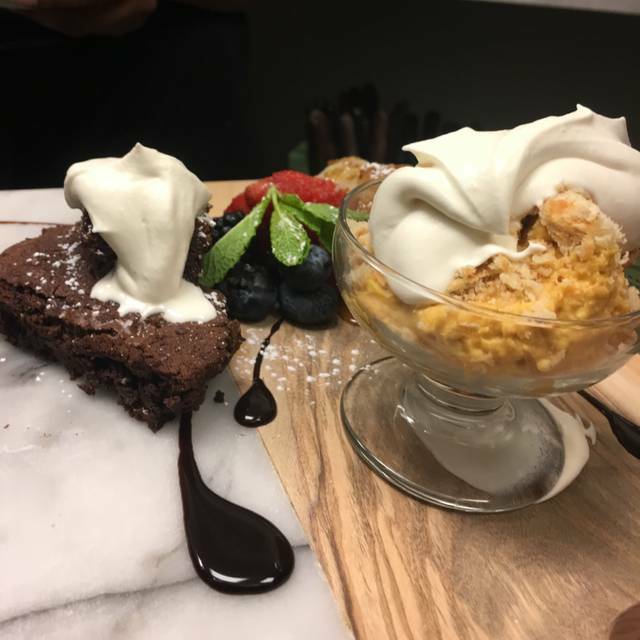 I enjoy edevery bite, everything was prepared to perfection. 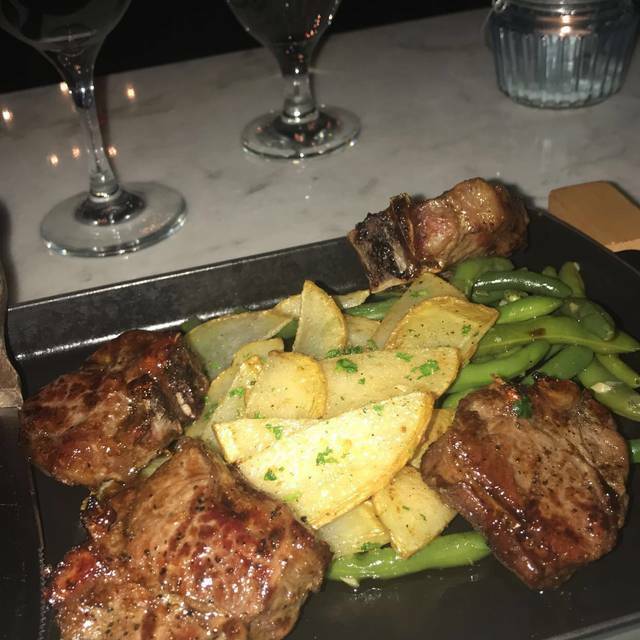 The seasoning on the lamb was out of this world, and came with some thinly sliced potatoes, and fresh green beans. The atmosphere was gorgeous as well... our table had a beautiful view, and the smooth jazz they were piping in was relaxing. It makes for a quiet, intimate evening with a friend or loved one. My girlfriends and i have been to the Roof a couple of times and i decided to write a review. This place gets better everytime we come. The service is on point and the food is always delicious. Its such a fun and nice place to come dressed nice and enjoy. We just love the lake view on the balcony. Just wanted to thank the Roof for a greta time. Also the bartender Tory is always wonderful and happy. My girlfriends and i decided to meet up at the Roof for happy hour, drinks and appetizers. We had a wonderful girls night out. The vide was real nice. We enjoyed everything from the drinks the Gumbo and ceviche was great. Ill be back to try the Sunday brunch. My Husband and i had a lovely night at The Roof. We visited on a thursday night to enjoy the live band and to have some wine. We decided to have dinner also after a hour of the good jazz. The seafood platter and rib eye was amazing and very tasteful. We really enjoyed ourselves and the place is amazing. Tried the Roof for a date night and had a wonderful time. They greeted us like we was important. My wife tried the lobster,grits and spinach and she loved it with a glass of red wine. 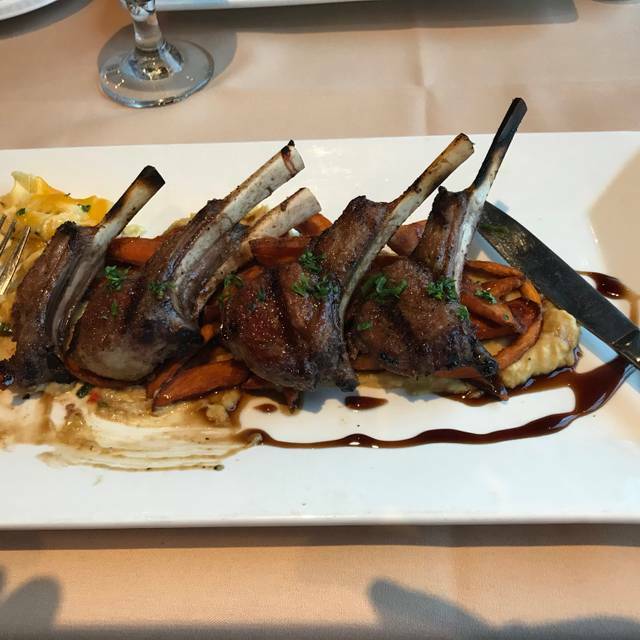 I really enjoyed the Lamb chops , vegetables and potatoes. Everything was perfect. Keep it just the way it is. 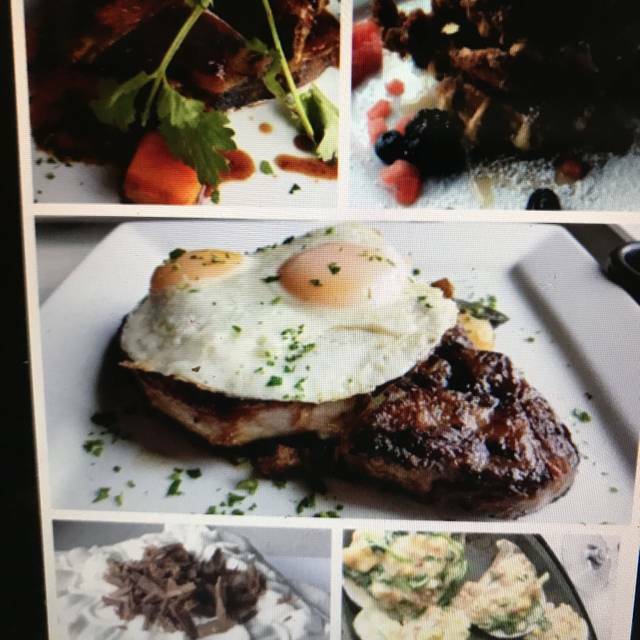 The Roof has the best Rib eye and pork chop my wife and i ever had. we tried the Gumbo and what a surprise on how good it was. Theres a lot of places that sale gumbo and its not good. The Roof gumbo is delicious. The service was great also. Our waitress was very professional and courteous. Thanks for a great time. TRIED THE ROOF FOR THE FIRST TIME AND WHAT A NICE PLACE FOR A GREAT TIME AND DINNER. Sunday brunch at The Roof was a great treat. The buffet was worth It and the mimosas perfect. Very smooth jazz music and a cozy environment. I’ll be back next Sunday with friends and family. Thanks for a great time. 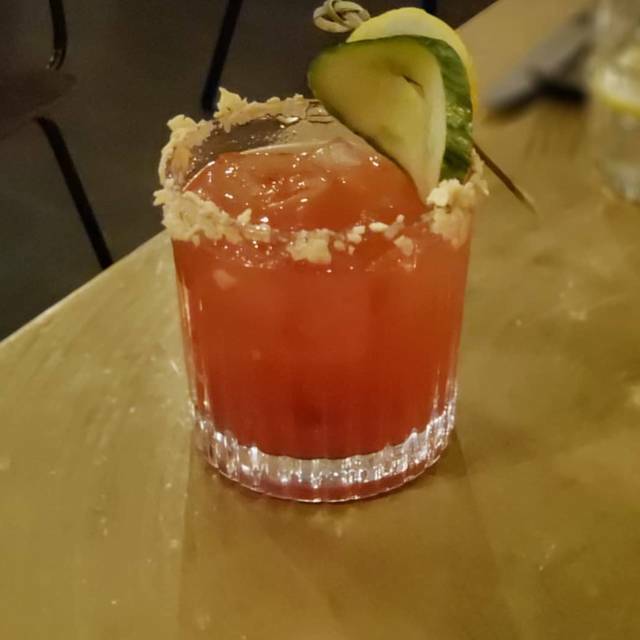 Checked out there dinner on Saturday and it was a treat of great food and service. The Gumbo and catfish was amazing. Mimosas was perfect. We will be next back next Thursday to check out the live jazz band. First times there for anniversary and the waitstaff was so on point. As soon as we walked in we was greeted by a very nice hostess. The tables was dressed with beautiful linen. Our drinks was so yummy and the catch of the day fish red snapper was the best I’ve ever had and my wife loved the Rib eye lobster/shrimp with spinach and grits. The place is the best kept secret hidden on the penthouse in sugarland. You must visit this place.